University President Dennis Assanis proposed the idea back in March 2017 to add an eighth college to the university: a graduate college, meant to help solve health- and climate-related issues on the basis of interdisciplinary efforts, also packaged with the wish to double the university’s graduate student population over the next ten years. 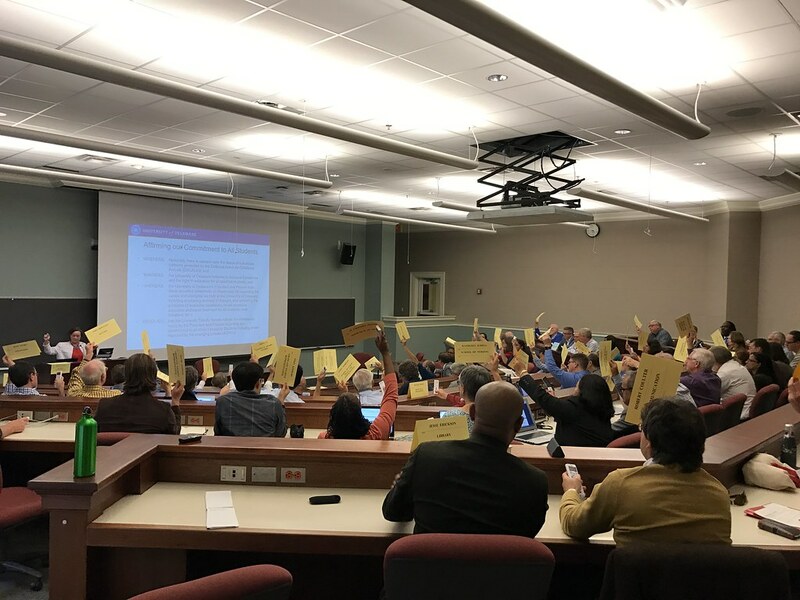 Yesterday, the Faculty Senate met, originally scheduled to vote on the graduate college draft bylaws, but the vote was rescheduled for February, with the committee responsible for the bylaws claiming that the original deadline of Jan. 1 would be impossible to meet. To refresh your memory as the college’s future continues to hang in the air, we recount its troubled history so far. In the May 2017 Faculty Senate meeting, Assanis provided more specifics. He was seeking to increase doctoral students by 1,000 and master’s students by 2,000, giving a possible enrollment of 7,000 graduate students in 10 years — a 75 percent increase rather than his initial hint at 100 percent. In spring 2017, former senior vice provost of graduate and professional education Ann Ardis also stated that Assanis had plans to add 250 new faculty members and noted that undergraduate tuition does not go towards graduate students; the actual revenue coming instead from federal grants and endowments, or gifts to the university. In fall 2017, it was announced that the college would be formally named the Stuart M. and Suzanne B. Grant Graduate College as the result of a $10 million donation from the family. At the time, Stuart M. Grant was serving as a member of the university’s Board of Trustees and had been reappointed for another term by Gov. John Carney, but was serving on an expired term as his nomination awaited state senate approval. At the March 2018 Faculty Senate meeting, Provost Robin Morgan, then serving as interim provost, indicated that the university was continuing to move forward with the college under the conditions stipulated in the Grants’ gift agreement. Then things took a turn. The next day, The Review reported that Grant was involved in a lawsuit in which he accused a former director, Reuben Guttman, of his firm Grant & Eisenhofer, of stealing clients during his departure in 2015. Guttman’s defense alleged that Grant had sexually harassed female associates at Grant & Eisenhofer. Following reporting on the matter by The Review and The News Journal, Grant, citing backlash from the university community, withdrew his nomination after serving as a trustee for seven years. There was general unrest at a town hall meeting held by Provost Robin Morgan back in April — meant to quell concerns and answer questions, a few faculty members had questioned if the rush to form the college had been due to the Grants’ endowment. Morgan stated the matter was urgent because the creation of a graduate college was needed. However, in June, the university then announced it was no longer accepting the donation from the Grants, leaving open the question of exactly how the graduate college would be funded. “The University is actively seeking new donations to support the graduate college as we have decided not to name the college after the Grants,” university spokesperson Andrea Boyle Tippett stated in an email in June. Discussion of the draft bylaws are still in progress, headed by Faculty Senate member Martha Buell. 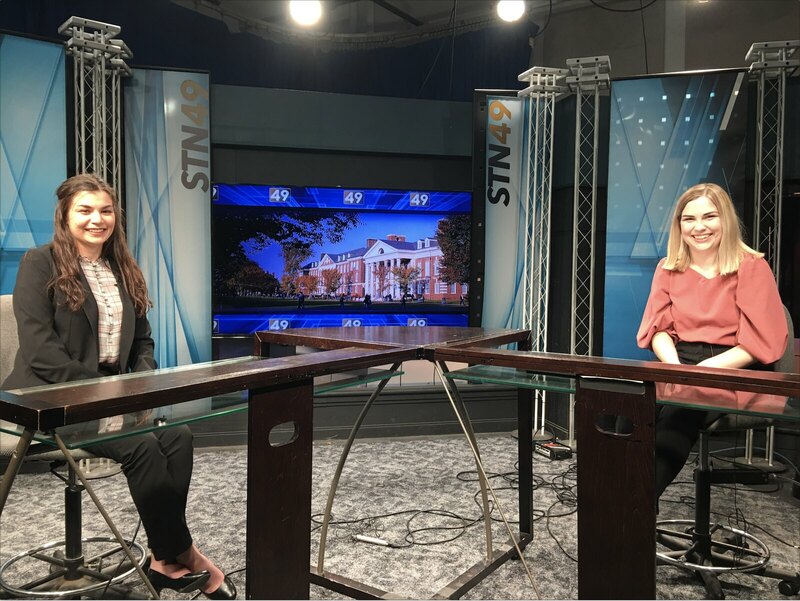 Although there were talks at yesterday’s meeting of postponing the vote as late as March, the draft bylaws will hit the Senate floor at the Feb. 11 meeting after classes resume for the spring semester. CORRECTION: A previous version of this article incorrectly cited the date of Ann Ardis’s comments concerning graduate education and faculty increases. Ardis’s comments were made in spring 2017. A previous version also incorrectly cited the date of publication of The Review’s original coverage of Stuart M. Grant’s sexual harassment allegations and graduate college donation. The Review first reported on the matter on March 6, 2018. 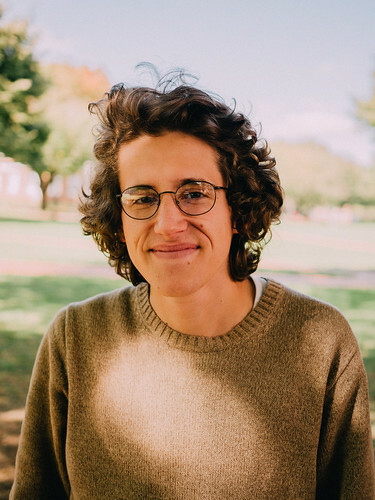 The Faculty Senate has been little more than an organ of the administration of late, Caleb Owens argues. On Monday, the Faculty Senate voted to raise the GPA requirement from 3.33 to 3.50.